Fortify Rights works to ensure human rights for all. We support human rights defenders and affected communities, investigate human rights violations, and engage people with power on solutions. We believe in the influence of evidence-based research, the power of strategic truth telling, and the importance of working in close collaboration with individuals, communities, and movements pushing for change. 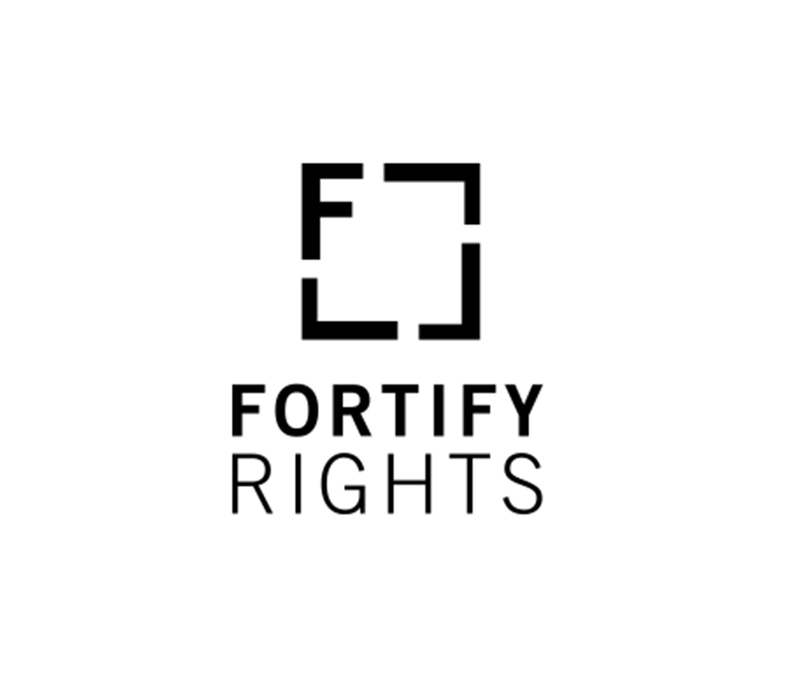 Fortify Rights is an independent, nonprofit organization based in Southeast Asia and registered in the United States and Switzerland. The Human Rights Specialist conducts independent human rights research and documentation, engages with decision-makers and relevant stakeholders, and works collaboratively with human rights defenders and affected communities to strengthen and support local initiatives. S/he leads the strategic direction of Fortify Rights’ work in Malaysia and thematic issues. The Human Rights Specialist monitors human rights developments in Malaysia and serves as a focal point for representing the organization and providing credible information on human rights situations. S/he develops positive working relationships with human rights defenders and affected communities and provides tailored, ongoing technical support, including trainings and workshops, to strengthen the work of partner organizations. The Human Specialist reports to a regional Legal Director and receives strategic direction and technical oversight from the Executive Director and Chief Executive Officer. In collaboration with Fortify Rights’ technical team and leadership, develop a concrete and coherent country strategy for Malaysia aimed at ensuring and defending human rights for all through independent research and documentation, multi-level stakeholder engagement, and customized technical support to human rights defenders. Identify and investigate priority human rights issues in Malaysia through interviews, focus group discussions, site visits, document collection, secondary research, and other forms of both qualitative and quantitative evidence collection in line with best practices. Analyze and document human rights violations through written material and audio/visual mediums—in collaboration with the Multimedia Specialist—for both public and private distribution. Provide sound analysis of research findings within the framework of international human rights and humanitarian law along with concrete recommendations to address specific violations. Monitor human rights practices and serve as a credible, reliable source of human rights information, both internally and externally. Draft and edit original written material, including internal or private memorandums, letters to governments or other stakeholders, press releases, long-form reports, submissions to the United Nations or other international bodies, op-eds, articles, and/or blogs, in a timely manner. Conduct strategic advocacy with government officials, elected representatives, members of the diplomatic community, representatives of U.N. and other international agencies, representatives of non-governmental organizations, and other key decision-makers, influencers, and stakeholders with a view towards addressing human rights concerns and improving the human rights situation. Represent the organization on human rights issues. Engage regularly with local and mainstream news media outlets, including online, print, television, radio, and other platforms. Respond in a timely and professional manner to requests for comments, interviews, and assistance from members of the media. Develop positive and supportive relationships with human rights defenders, organizations, and affected communities. Identify key partners to work with on a sustained basis to strengthen local responses to human rights abuses. Work with partners to identify objectives and develop strategies, reinforce strengths, and address weaknesses. Develop and conduct tailored trainings or participatory workshops, assist with research and documentation efforts, and implement other tasks to respond to the needs identified by partners. Work closely with the Partnerships Manager and executive leadership to contribute to fundraising and monitoring and evaluation processes. Contribute to timely reporting through regular monitoring and reporting on project activities and support the Partnerships Manager in tracking and gathering data to evaluate the progress of projects. 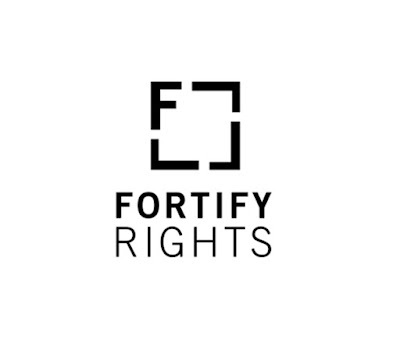 Work closely in collaboration with the Fortify Rights team to ensure effectiveness, scale the organization’s impact, and ensure sustainability. Post-graduate degree in relevant fields or comparable work experience. Law degree preferred. At least five years of experience in human rights research, documentation, strategic advocacy, and engagement. Excellent knowledge on the human rights situation in Malaysia. Experience researching and analyzing complex human rights issues in Malaysia. Demonstrated ability to produce high quality written material in a timely manner. Solid understanding of human rights and humanitarian law, and ability to apply human rights and humanitarian law frameworks to documented situations of abuse. Strong communication and interpersonal skills. Ability to effectively communicate with a wide range of people, including survivors and witnesses of abuse, media, government and high-ranking officials, U.N. and non-governmental organization representatives, and others. Ability to represent the organization both publicly and privately, particularly on human rights issues in Malaysia. Excellent public-speaking skills and ability to engage local and mainstream media outlets on human rights issues. Experience working collaboratively and effectively with human rights defenders and affected communities. Ability to develop and facilitate participatory trainings and workshops and provide ongoing technical support to human rights defenders and partner organizations. Strong decision-making and ability to turn the organization’s priorities into impactful strategies. Excellent writing, organizational, and time management skills. Ability to work independently and as part of a flexibly structured team. A willingness to learn and contribute to a positive team environment. A desire to implement innovation and creative solutions to complex problems. Willingness to travel within Malaysia and internationally. This may include travel to remote and potentially insecure areas. Fluency in written and oral English required. Additional language skills preferred. This post will remain open until filled.